I read recently about the huge volumes of water that is sprayed on a launch pad during lift off. I remember it to be about four times as much water as fuel burned. This is done to reduce noise (energy that would have become acoustic, instead taken up in change-of-state i.e. water to steam) and to help the launch pad survive the heat, so it can be used again. I occurred to me that in a vacuum, like on the moon, a landing and launch facility cannot spray water on the launch pad to protect it. Is anyone aware of studies of what a lunar launch pad would look like and how it would survive the heat of launch? This would work on the Moon as well. The main issue would be loose rubble at the bottom of the pit being launched across the Moon or even into orbit. Not the answer you're looking for? Browse other questions tagged the-moon launchpad thermal or ask your own question. Lunar excavation by blasting - would there be unique challenges, difficulties or safety issues? 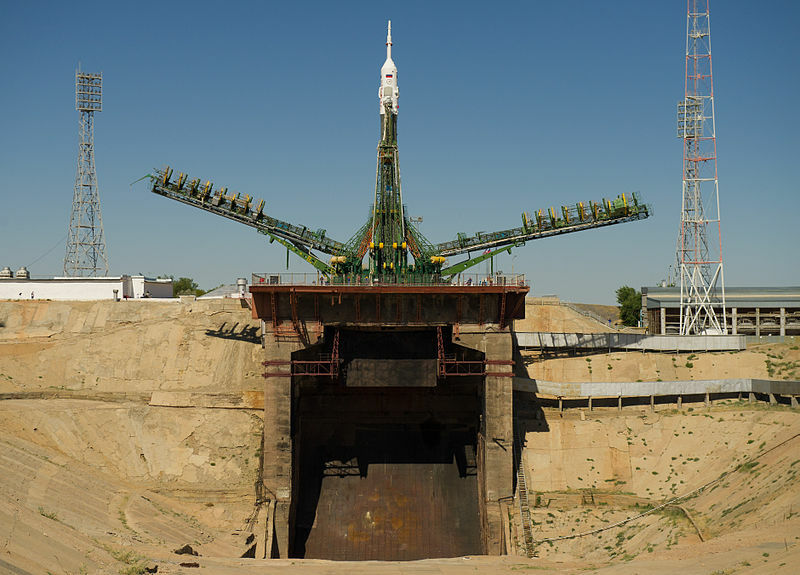 How does a spaceport differ from a launch pad? What dangers are on a launch pad after a successful launch? What type of work goes into refurbishing a launch pad? What holds the Space Shuttle orbiter itself stable on the launch pad?